When you are sick, *don't* do what is natural. It is so easy for us when we are feeling yucky, to speak poorly. Our throats hurt, we are congested, our chords might be a bit swollen, so it really feels so natural for us to speak "heavy and sick sounding". I say nay! When you are sick you need to make the opposite effort with your speaking voice than what feels natural. Don't let your voice give in to the sick, "lazy speak" that you would like to do. Force yourself rather to speak "over" the cold, gently, and without any pushing, pressing, or sitting on the vocal chords. Keep everything light in your sound. The reason to do this is for a speedier recovery once you start feeling better. The more you push down into that sick sound, the further you will swell those vocal chords creating an even longer amount of time until your voice is working sweetly for you again. I am not saying that you can prevent yourself from sounding sick when you are sick, just don't play into it and add onto it. 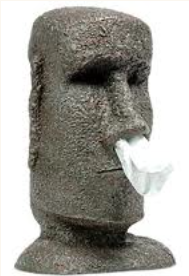 Keep your voice in a "healthy-speak" mode even if you have tissues stuffed in your nose. And if it is hard for you to speak correctly, then really try to minimize your speaking until your voice improves. The more you speak on swollen chords, the longer they will take to heal. This blog was written by me 3 days into a cold. I caught myself day one speaking with a really sick sound. It gets more sympathy of course, and I felt terrible so I was inclined to speak awfully. I realized I was doing it and was easily able to make a shift to speak in a higher, lighter spot. I sounded healthier instantly and helped minimize the damage. That particular cold did not go into my voice. If I had not shifted my speaking on that first day of being sick, my voice certainly would have felt the effects for at least a few more days. You can not prevent hoarseness every time you are sick, but sometimes... you can :). This is something that we have to remind ourselves to do. You never know when you are going to get that singing opportunity, so you must always be thinking about how you can cut down on your singing downtime, even if it only saves you a day. That could be the day when you get called for a great recording, or audition! 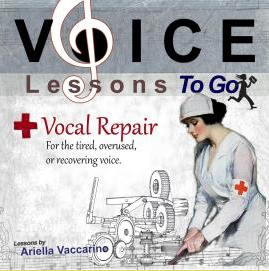 I suggest my Vocal Repair CD for when you are ready to start back singing after being down with a cold for a bit. 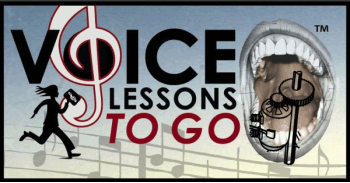 They are a collection of gentle vocal warm-ups for the tired, overused or recovering voice.